Strengthening protection and preparedness against terrorist attacks aimed at critical energy infrastructure was the focus of a risk-assessment and crisis management exercise in Sarajevo on 16 and 17 May 2018, organized by the OSCE Transnational Threats Department and the OSCE Mission to Bosnia and Herzegovina. 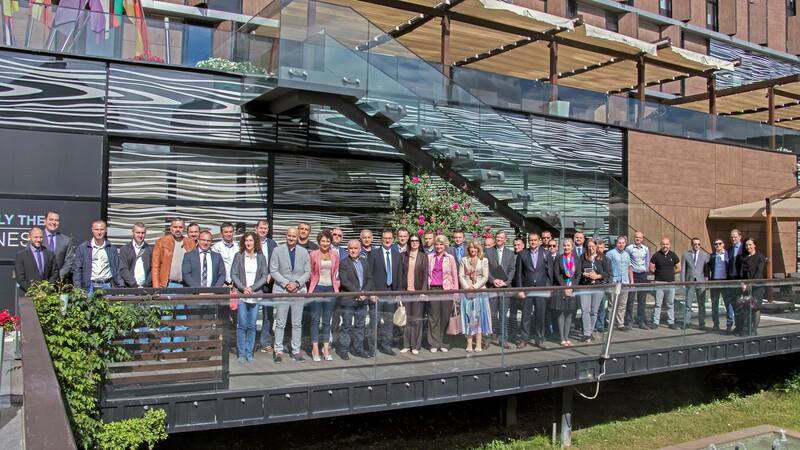 Thirty-seven experts from state authorities and private sector energy companies and agencies tested the effectiveness of their existing protection and crisis management systems, including co-ordination with external crisis management mechanisms to mitigate the impact of a terrorist cyber-attack. Based on the Good Practices Guide on Non-Nuclear Critical Energy Infrastructure Protection from Terrorist Attacks Focusing on Threats Emanating from Cyberspace the exercise was held as part of the OSCE’s work to advance the implementation of UN Security Council resolution 2341 (2017) on the protection of critical infrastructure from terrorist attacks and aimed at improving partnerships between the public and private sectors in order to increase the resilience of national energy infrastructure. The exercise in Bosnia and Herzegovina was the seventh national exercise on enhancing the capacities of OSCE participating States to mitigate terrorist attacks emanating from cyberspace.